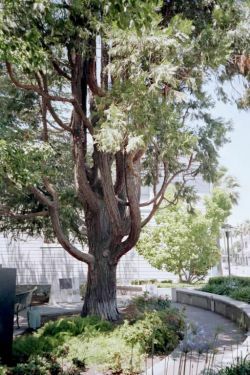 Comments: Conifer, native to mountains of southern Oregon, California and western Nevada. Symmetrical trees give pungent fragrance in warm weather. cones are slender and long. Trees have been known to reach an age of 600 years. 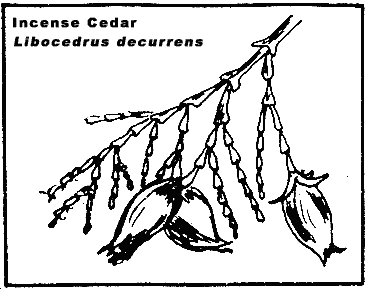 Formerly Libocedrus decurrens.